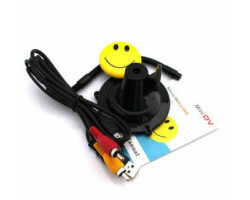 The Smiley Pin Hidden Video Camera is a great choice when it comes to recording video on the go. 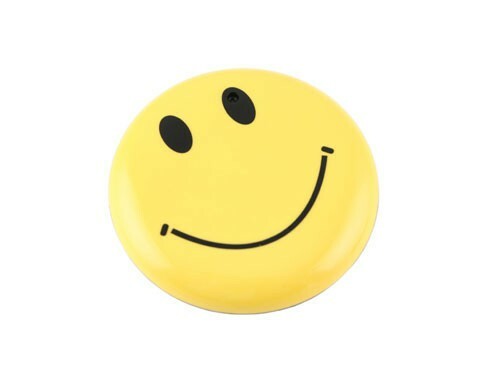 The camera is hidden inside of what looks like a bright smiley face pin. You can use it at trade shows, school functions, and live events or as a webcam for your computer. 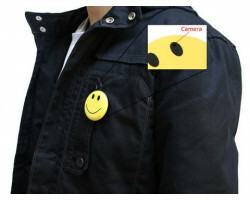 Record video everywhere you go with the Smiley Pin Hidden Video Camera. 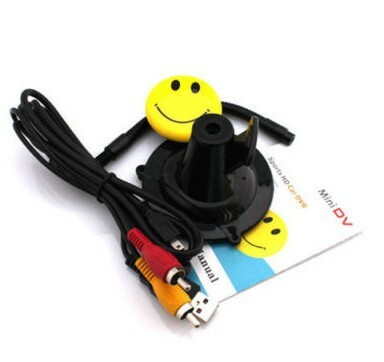 The Smiley Pin Hidden Video Camera records clear video, audio and still images. It captures faces and voices clearly from across a room. 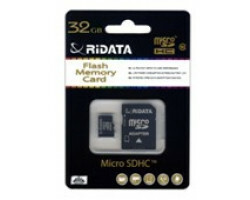 You can record all of those important moments including conversations, live performances, and action shots. The device comes with two hours of battery life, so you don’t have to worry about the device dying in the middle of an event. 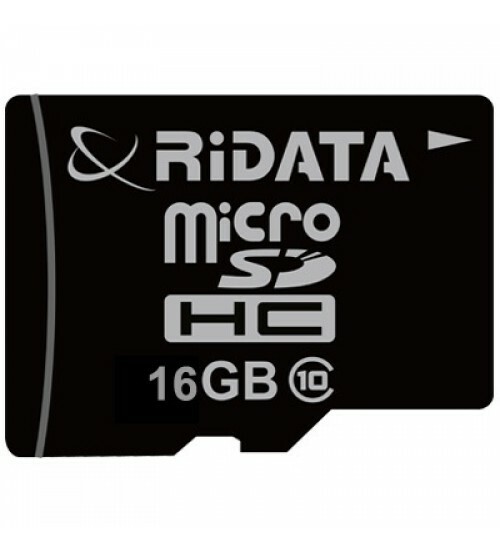 The camera also comes with plenty of storage space. 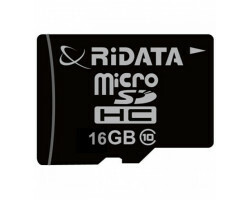 You can store up to 7 hours of video with the included 16GB memory card. When you run out of storage space, just plug the camera into your computer using the included USB cable to manage and transfer all of your files. 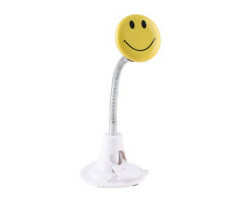 The Smiley Pin Hidden Video Camera is designed for portable, covert surveillance. The camera looks like a cute smiley face pin that’s perfect for school events and festive occasions. You can easily clip it to your shirt, a purse or a backpack. Regardless of where you are or what you’re doing, no one will suspect that you’re recording video. 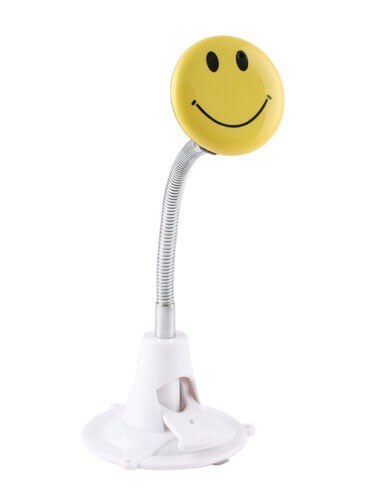 With its cheerful, covert design, the Smiley Pin Hidden Video Camera will make a great addition to your hidden camera collection. You can take it pretty much everywhere, including special events, outdoor excursions, and social get-togethers. 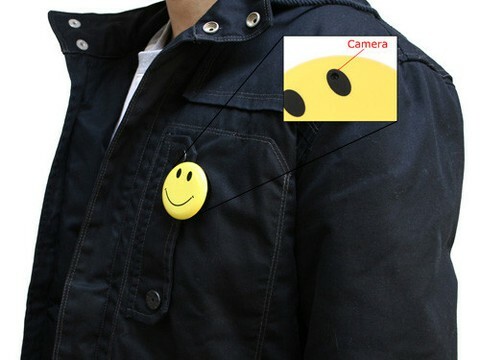 Capture all of the special times in your life with the Smiley Pin Hidden Video Camera.